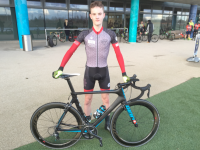 Our newly formed Contour Cycles racing team made their racing debut at the Velopark road race circuit in London recently. 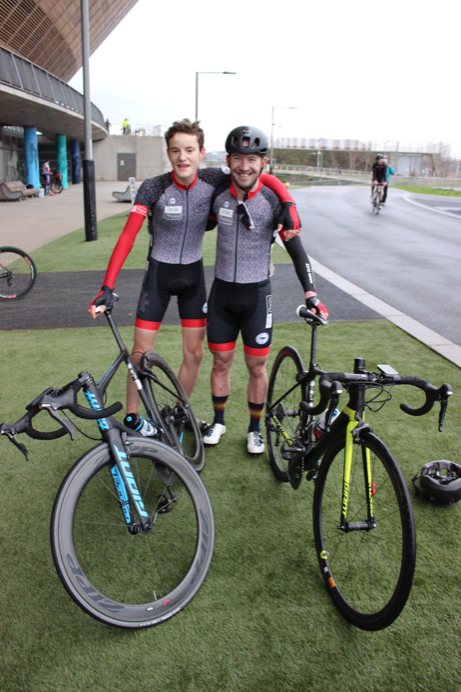 Team members Adam Robertson and Dave Mitchinson made the journey to the Olympic park to race for the first time in their new team colours. 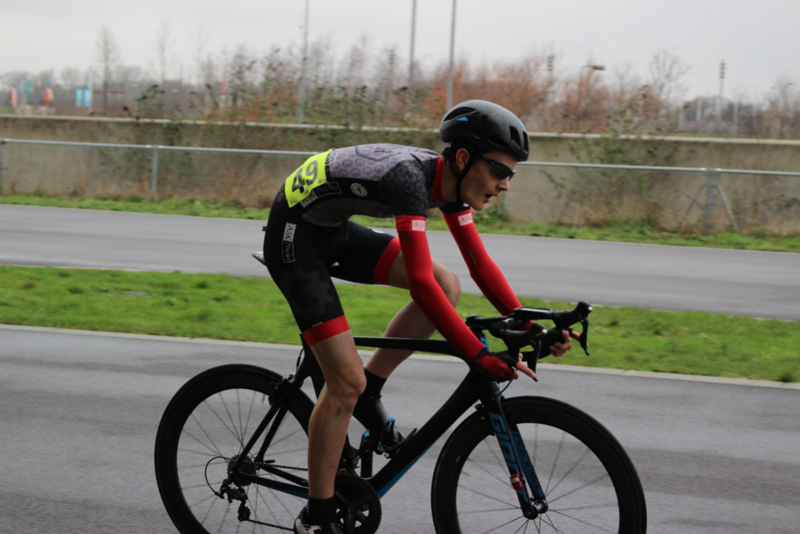 Adam was up first, placing 8th in the category 3 and 4 race, aggressive riding from the 17 year old junior rider saw him trying to establish several breaks, none of which stayed away. Adam placed a tired but pleased 9th in the same race, his second top 10 placing of the day! Adam Robertson (left) and Dave Mitchinson (right) post race with their Giant Propel Race Bikes.